Zimbabwe's transition to a democratic and economic recovery is shadowy due to a lack of political will to fight corruption, a local political think tank has said. In its December 2018 report, titled "Zimbabwe Transition in a Prisoner's Dilemma: Perceptions on Corruption Reduction and Service Delivery in the Mnangagwa Dispensation", the Zimbabwe Democracy Institute (ZDI) said political corruption remained a stumbling block in government's quest to fight graft. "Respondents perceived that President Mnangagwa's government is not genuine in dealing with political corruption, as less than 45% of sampled service consumers for all public institutions perceived some genuineness in government anti-corruption efforts," ZDI principal researcher Bekezela Gumbo said. He said the study found that corruption remained high in key public institutions like the Vehicle Inspection Department (VID), public hospitals, courts and the Registrar General's Office, which issues passports, birth and death certificates. "The findings reveal that petty corruption might have entered a period of decrease due to the fear factor associated with the Mnangagwa administration, while grand corruption and political corruption continue unabated," Gumbo said. 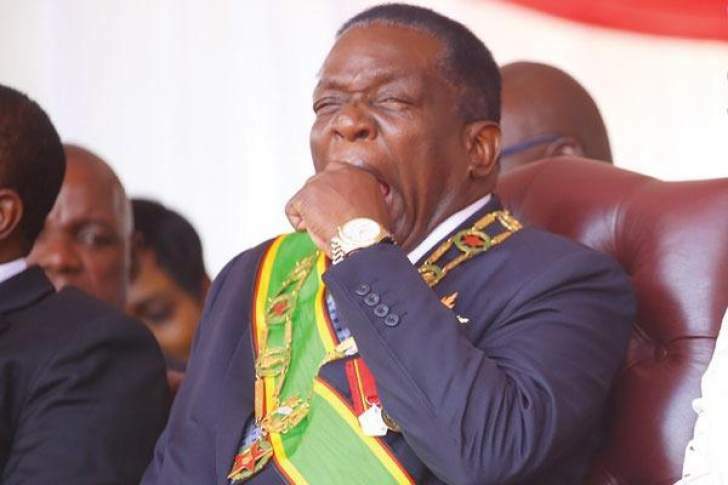 "The Mnangagwa administration will not legitimately claim transition until it addresses these decays perceived by the people since it is the people and them alone who can give legitimate feedback." He said government seemed to be more committed to consolidating power and fighting opponents. "Zimbabwe's transition is going nowhere anytime soon. It is in a prisoner's dilemma. The necessary political leadership to initiate and sustain transition and reform is missing," the ZDI boss said. Since Mnangagwa usurped power last November, only people perceived to have been loyal to his predecessor, Robert Mugabe, have been arrested on allegations of corruption. Among those arrested are former minister Supa Mandiwanzira, Ignatius Chombo, Samuel Undenge, David Parirenyatwa, Joseph Made, Walter Mzembi, Saviour Kasukuwere and Walter Chidakwa.